This question is one of the most frequently asked questions. Where do you start? What do they really want to know? Are you to begin from elementary school or college? You have to be very careful on how you answer this question because your answer here sets the tone for the rest of the interview. This question is mostly asked as an icebreaker but if you did not prepare for it, it becomes a real problem.The right approach to this is to discuss your key strengths and how they relate to the job. Talk about a few of your accomplishments. Talk about your current employer and then tell them how you see yourself fitting into a position at their company. Tell me about roles & responsibilities of Wellhead Operator? Wellhead operators typically move from well to well and are responsible for optimizing production of the gas or oil wells that are on their "field run". Duties will vary based on the size of the field, whether it produces oil or gas (as well as natural gas liquids, or a mix), and the types of equipment required. What are the main job duties of wellhead Operator ? Wellhead Operator responsibilities are to operate engines and pumps to shut off wells according to production schedules, and to switch flow of oil into storage tanks; monitor control panels during pumping operations to ensure that materials are being pumped at the correct pressure, density, rate, and concentration; perform routine maintenance on vehicles and equipment; repair gas and oil meters and gauges; unload and assemble pipes and pumping equipment, using hand tools; attach pumps and hoses to wellheads; open valves to return compressed gas to bottoms of specified wells to repressurize them and force oil to surface; supervise oil pumpers and other workers engaged in producing oil from wells; start compressor engines and divert oil from storage tanks into compressor units and auxiliary equipment to recover natural gas from oil; prepare trucks and equipment necessary for the type of pumping service required; drive trucks to transport high-pressure pumping equipment, and chemicals, fluids, or gases to be pumped into wells; mix acids, chemicals, or dry cement as required for a specific job; control pumping and blending equipment to acidize, cement, or fracture gas or oil wells and permeable rock formations. What does a well Operator do? The primary purpose of a wellhead is to provide the suspension point and pressure seals for the casing strings that run from the bottom of the hole sections to the surface pressure control equipment. While drilling the oil well, surface pressure control is provided by a blowout preventer (BOP). What are the skills required for wellhead Operator employee in order to success in his work? Watching gauges, dials, or other indicators to make sure a machine is working properly, Controlling operations of equipment or systems, Using logic and reasoning to identify the strengths and weaknesses of alternative solutions, conclusions or approaches to problems, Monitoring/Assessing performance of yourself, other individuals, or organizations to make improvements or take corrective action, Repairing machines or systems using the needed tools. Describe the abilities you have in order to work with us as wellhead Operator? I have the ability to tell when something is wrong or is likely to go wrong. It does not involve solving the problem, only recognizing there is a problem, quickly and repeatedly adjust the controls of a machine or a vehicle to exact positions, coordinate two or more limbs (for example, two arms, two legs, or one leg and one arm) while sitting, standing, or lying down. It does not involve performing the activities while the whole body is in motion, see details at close range (within a few feet of the observer), quickly respond (with the hand, finger, or foot) to a signal (sound, light, picture) when it appears. What are the knowledge elements you obtained from your education, training and work experience would support your wellhead Operator career? The Knowledge of machines and tools, including their designs, uses, repair, and maintenance, arithmetic, algebra, geometry, calculus, statistics, and their applications, raw materials, production processes, quality control, costs, and other techniques for maximizing the effective manufacture and distribution of goods, relevant equipment, policies, procedures, and strategies to promote effective local, state, or national security operations for the protection of people, data, property, and institutions, the structure and content of the English language including the meaning and spelling of words, rules of composition, and grammar. 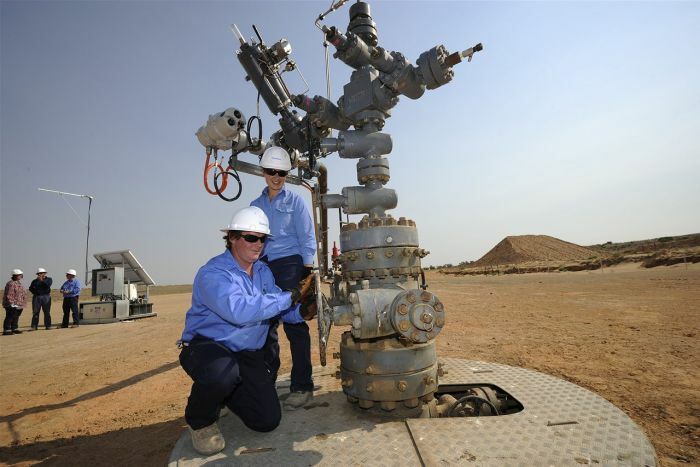 How would you describe (needed wellhead operator or your) work style? My work style matching exactlty what cashier job requires by: being reliable, responsible, and dependable, and fulfilling obligations, developing one's own ways of doing things, guiding oneself with little or no supervision, and depending on oneself to get things done, being honest and ethical, being careful about detail and thorough in completing work tasks, being open to change (positive or negative) and to considerable variety in the workplace. Valve and Wellhead Maintenance. ... Our highly competent wellhead maintenance engineers, many with direct experience from OEM's, will maintain, service and repair all valves, actuators and wellhead equipment originally supplied by the OEM's. What is wellhead natural gas? Natural Gas – From Wellhead to Burner Tip. The process of getting natural gas out of the ground, and to its final destination to be used, is a complicated one. ... The Extraction section focuses on the drilling process, and how natural gas is brought from its underground reservoirs to the surface. What is the wellhead price? Definition of wellhead price. : the price less transportation costs charged by the producer for petroleum or natural gas. 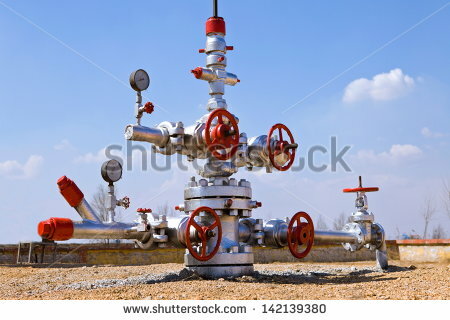 What is a wellhead in oil and gas? A wellhead is the component at the surface of an oil or gas well that provides the structural and pressure-containing interface for the drilling and production equipment. What is a wellhead connector? Cameron wellhead connectors are fast-makeup connectors used as end connections for wellhead spools, housings, and BOPs. They are built for reliability and designed for a wide range of bore sizes and working pressures. Options are available for eliminating weld-on or threaded wellhead connection procedures. Why are you interested in the role?" As a job seeker, the best way to answer this common interview question is to emphasize the merits and exciting aspects of the position itself to convey your enthusiasm, rather than a time to rehash how your background and work experience is a fit. Think of it this way: Even if you’re the perfect fit, that’s what the rest of the interview is to demonstrate. This is the time when you get to demonstrate your enthusiasm about the work you’re about to do. Actually wanting to do a certain job counts for a lot. This is a similar question to the previous one, but you still might get both in one interview. Essentially, the interviewer wants to know whether you care enough about this position and the business to take the time to do your homework. So do your homework! While this isn't a test, you should be aware of the business's major initiatives, mission, and qualities. You should also look into all aspects of the business that are related to the position or function you'll be performing. For example, if you're interviewing for a marketing role, make sure to look at all of the company's social media accounts. What's one of your greatest professional achievements? Tell me about a time when you disagreed with a coworker. How did you handle it? Be ready to have anecdotes about your experiences for these kinds of situational interview questions. They don’t have to be about the most interesting days you’ve had at work; instead, think of situations that have highlighted the fact that you’re mature and capable of working with a variety of people, even if you don’t always see eye-to-eye. Do you prefer working independently or on a team? This is a common question when a hiring manager wants to assess whether you will be a good fit, culturally. Be as honest as possible when you respond to this, but make sure it’s clear you’re comfortable working collaboratively and on your own. Companies want to hire people who are fun and easy to work with — but also those who can manage whatever they need to on their own. How do you deal with pressure or stress? The short answer you want to give is: “Well.” While you probably don't want to literally say that, the idea is to convey competence to deal with difficulty and hopefully pressure is not a problem for you. Frankly, this question tends to come with high-pressure, stressful jobs or companies and they want to know whether you’ll be able to handle tough situations. Hopefully, you have self-selected into this kind of job and applied to the company and role with your eyes open about those realities and believe you can thrive in an environment that demands a lot of you. When you're working on multiple projects, how do you keep yourself organized and on track? Employers want to know that you stay on top of things. Be ready to explain how you manage your current responsibilities -- whether in a detailed calendar or to-do list or through some kind of organizational service or app. What are you expecting in terms of salary? We believe that anchoring your salary expectations to your prior salary is the surest way to get very incremental pay raises. Ideally, you’ve done your compensation research and understand the salary possibilities for the role. If not, and you must anchor your salary expectations to what you have previously earned, don’t frame the expectations that way. Simply state the number you believe you should receive for the role (and make sure it’s more than what you would settle for, just in case it sets an anchor figure for future pay negotiation). This precise title and position might not be your end game, but the interviewer wants to see that it at least matches up with your overall ambitions. For example, if you're interviewing for a programming job and your goal is to be a chef, that's bound to raise a few eyebrows. What would your first 30, 60, or 90 days look like in this job? This may seem like an unreasonable question, but if you think about it from the employer’s perspective, they are trying to hire someone to fill a gap or hole in their team. They have real, usually time-pressing needs and they want to see at least improvements in the issues they’re facing when they hire you. Therefore, be prepared to talk about what you think you will accomplish in a 1–3-month horizon. Ideally, this is based on a clear understanding of what the job entails and what the company’s challenges are. How would you improve this company/specific operation? Your vision for improving the company is the reason why you—or someone else—will get hired. Come prepared with ideas for how you'd make one aspect of the company—something that is, of course, related to the job function of the position in question—better.You don't need to disparage the way the company is currently doing things to make your point; instead, just demonstrate that you've thought about this question and have innovative ideas.